Mini Blue Hole dive site is situated within the locality of Marsaskala, some 700 m northwest from Zonqor Point. 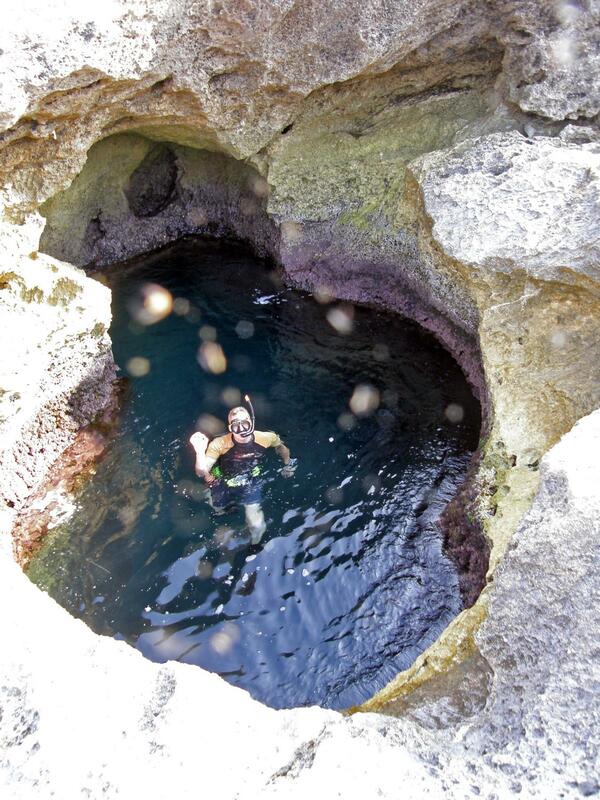 Mini Blue Hole is a natural rock formation that the sea has eroded over thousands of years. The hole is connected to the open sea by an underwater tunnel, the entrance is very close to the dive’s entry point, only a few metres away, at a depth of 7 m. The tunnel is about 10 m in length and the average depth in tunnel is about 5 m, with the bottom of Mini Blue Hole at 3 m. This is a beautiful place for underwater photography with the sunlight transforming the cave into a surreal environment. Outside the cave, along the shore in both directions (northwest and southeast), the bottom is covered with rocks and boulders. The seabed has a variety of depths, and there are many little gullies in this area with a sandy bottom and small reefs on each side. These are a good habitat for hiding octopus and moray. 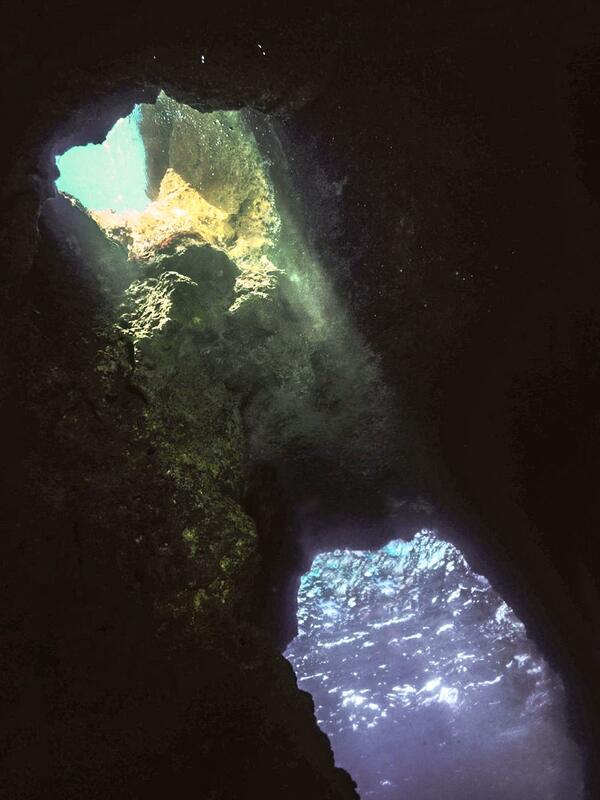 Maximum depth is about 15 m making this a suitable dive site for all levels of divers. Further away from the shore the seabed flattens out and is mainly sand. Mini Blue Hole is accessible from an off-road track along the coastline connecting Marsaskala to Xghajra. The track is suitable for most vehicles. Informal on-street parking is located about 700 m from the start of the track in M’skala end. From the parking area, there is a rough walking path over uneven and sharp rocks down to the shore. There is only one entry/exit point to the dive site, which is located more than 70 m away from the parking. Access to the sea is over some gently sloping rocks and a shallow reef covered in marine growth which makes for soft and easy access. Mini Blue Hole is nice site for swimming, snorkelling and free diving also. ★★☆☆☆ The cave is nice to visit once, but otherwise not that much to see.